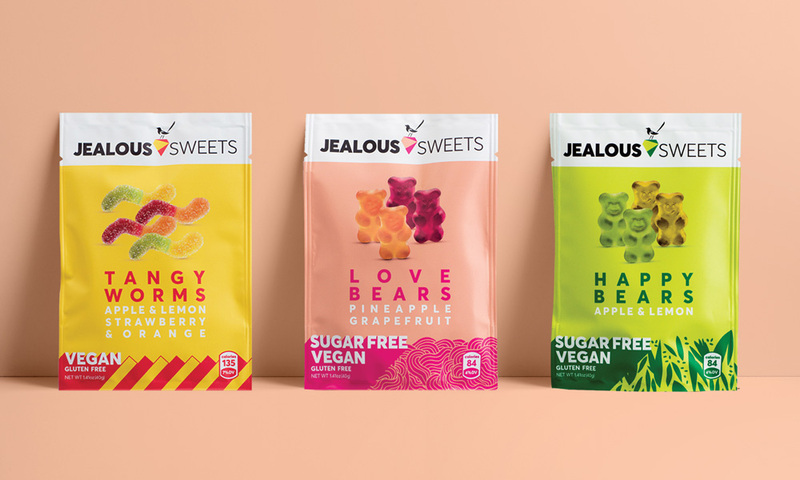 LoveGunn’s brand refresh for Jealous Sweets encapsulates the companies new no-nonsense, bolder and braver brand spirit and positioning. 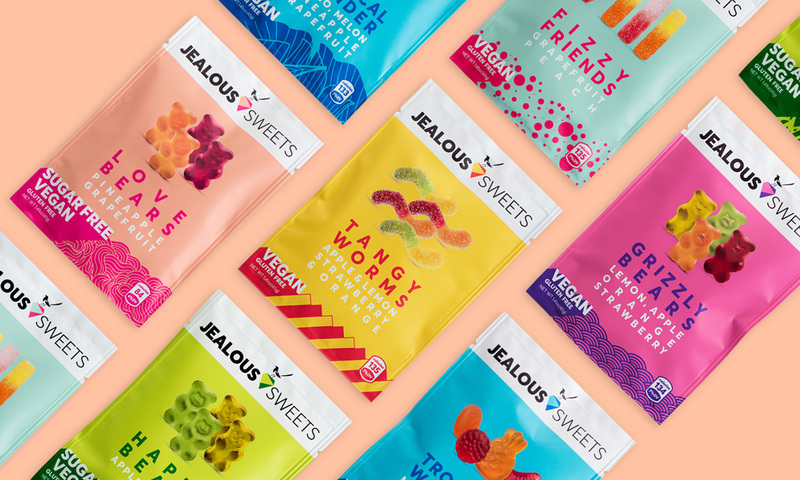 Inspired by the fashion industry and timeless trends such as colour blocking, bold patterns and statement tees, LoveGunn’s design has helped the vegan sweet brand to grow-up and stand-out. 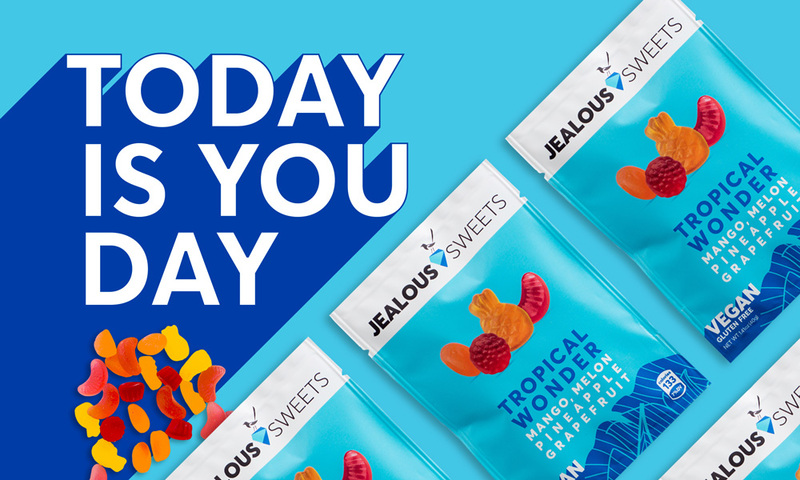 […] Jealous came to us with an existing brand and packaging concept that had lost its way over time. 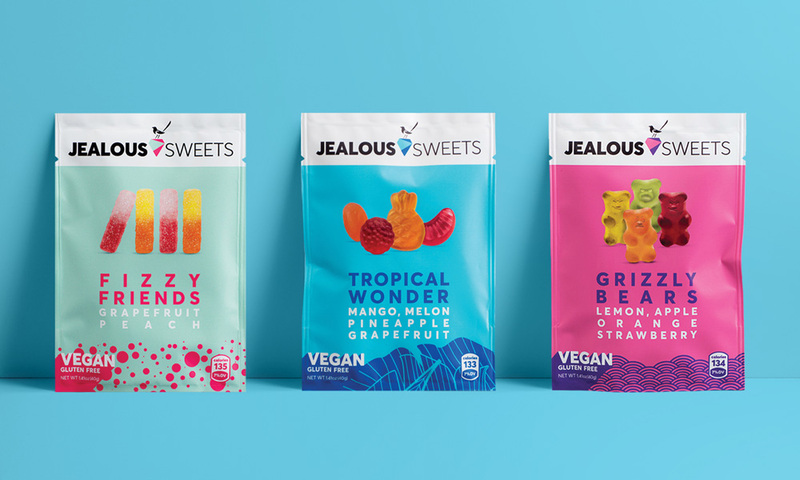 We needed to focus on giving the brand a clear structure and hierarchy, as well as a visual identity that could reignite the Jealous brand, as they look to expand overseas and into supermarkets. 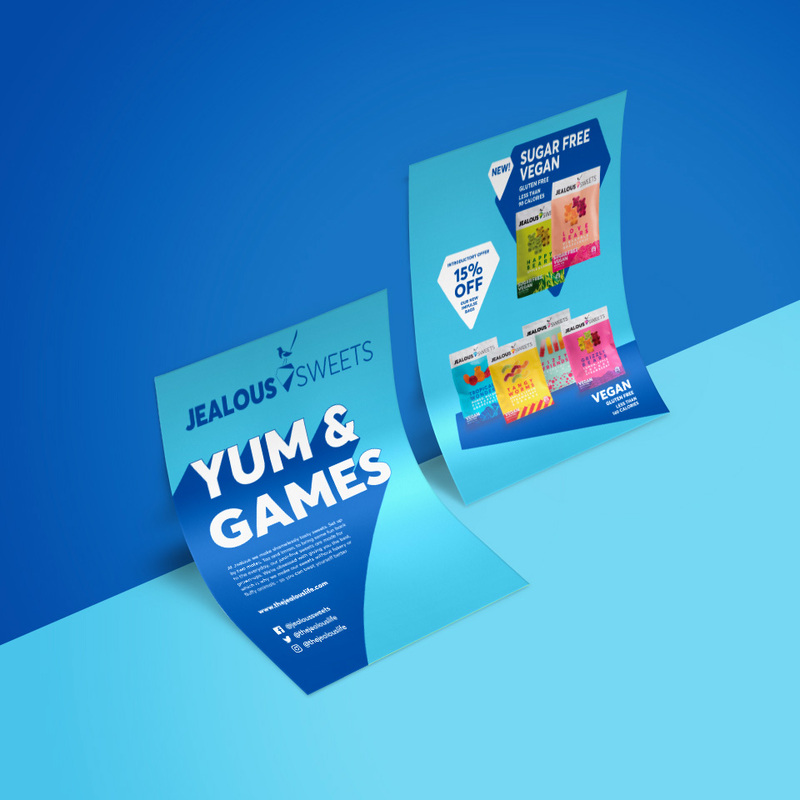 Our fresh approach and modern pared-back aesthetic gives Jealous Sweets the shelf stand-out and attitude to take on an industry dominated by multi-nationals and billion dollar conglomerates. The logo evolution isn’t very convincing. The old logo wasn’t fantastic but there was a better relationship in the thickness of the wordmark relative to the magpie bird. The tracked out spacing also made it look more premium. The new type feels so heavy, even in the light weight that says “SWEETS” because of the tight letter spacing. It also has a more default look from the choice of sans serif. The new packaging is a little better and I like the color coding as well as the custom illustrations at the bottom of each bag but every element seems to be working on its own, aesthetically independent of anything going on around it. The justified product description being the most painful, given that all the rest of the type is set so tightly. 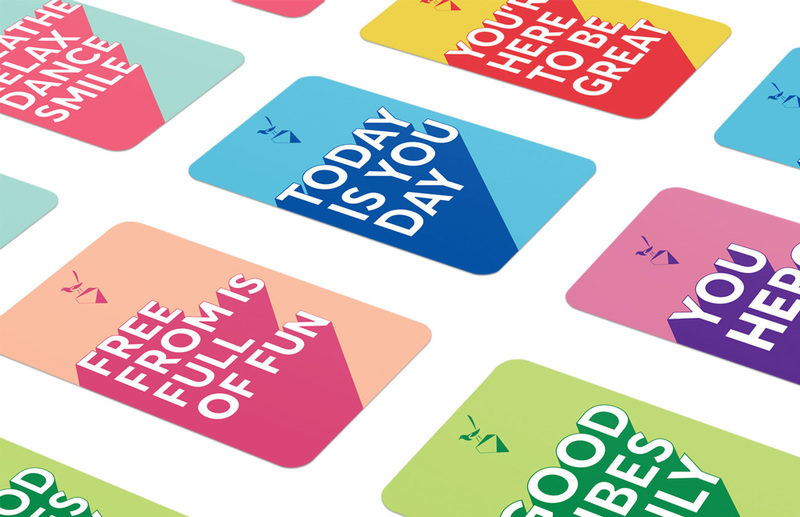 I would have liked to see more of that shadow type language extended into the packaging and I also would have liked sentences that make more sense than “Free from is full of fun”. Overall, it’s a splashy improvement in terms of shelf presence but there are far too many things going on and most of them could use refinement. (Est. 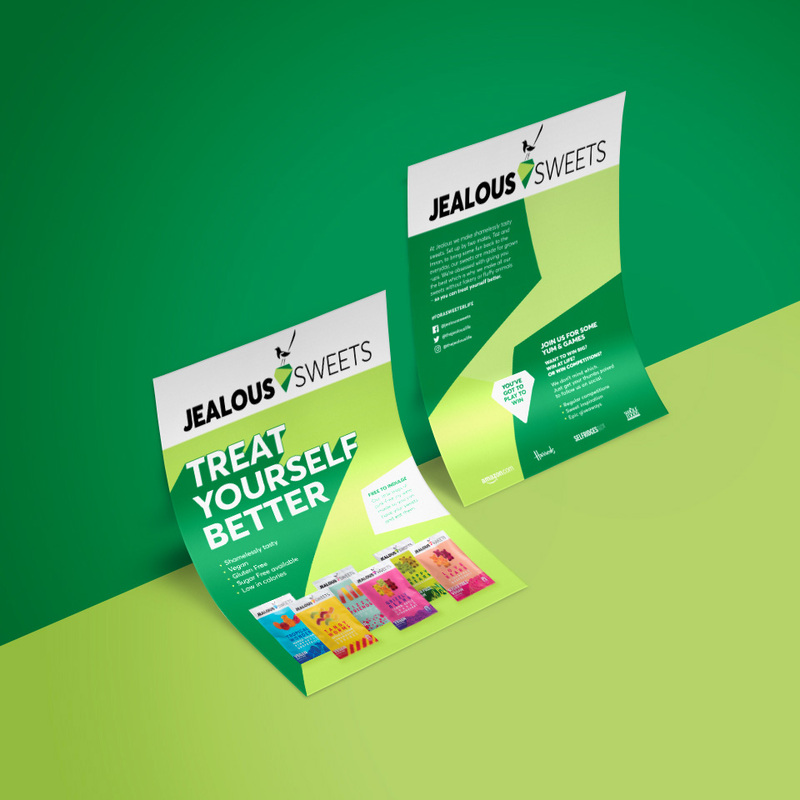 2011) \"Jealous Sweets is a proud British company founded by friends Taz Basunia and Imran Merza who decided to leave their finance careers and enter the world of confectionary. 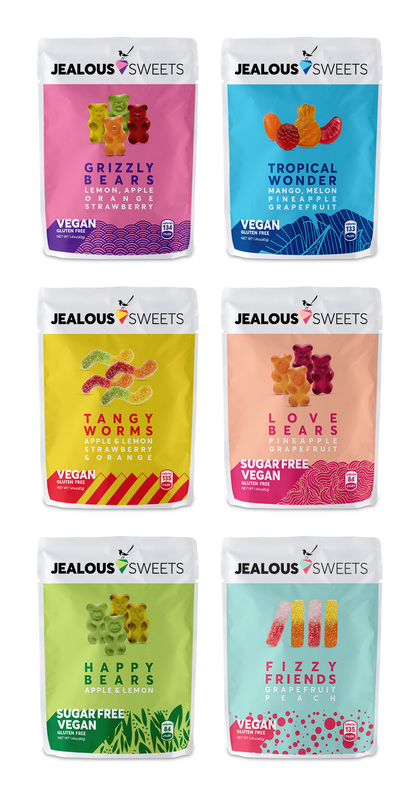 They introduced to the market a range of vegetarian sweets such as Gummy Bears and Sour Beans that are gluten free with no artificial flavours, colours or preservatives. 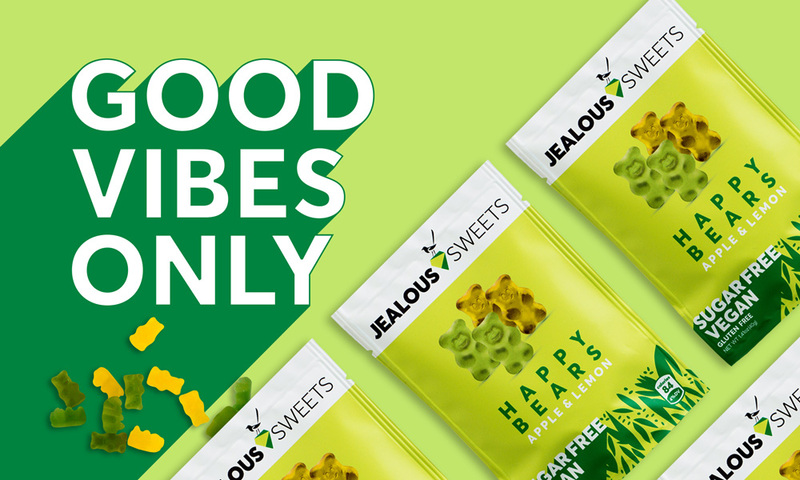 The result is a delicious collection of sophisticated sweets aimed at adults that are still child-friendly.\"